If you want to take your cooking to the next level, fresh herbs are the right choice. There are so many fresh herbs that can be used to zip up your food. Whether it is cilantro for a salad, mint in a beautiful pesto or a muddling of fresh basil in a lemonade or cocktail, fresh herbs are a great way to increase the flavour profile of any dish. The cost of them though can be quite alarming so I am showing you today How to Grow Your Own Herbs. Having fresh herbs at your fingertips isn’t as difficult as it may seem. Growing your own herbs is a great way to ensure that you always have that freshness to add to any of your dishes. 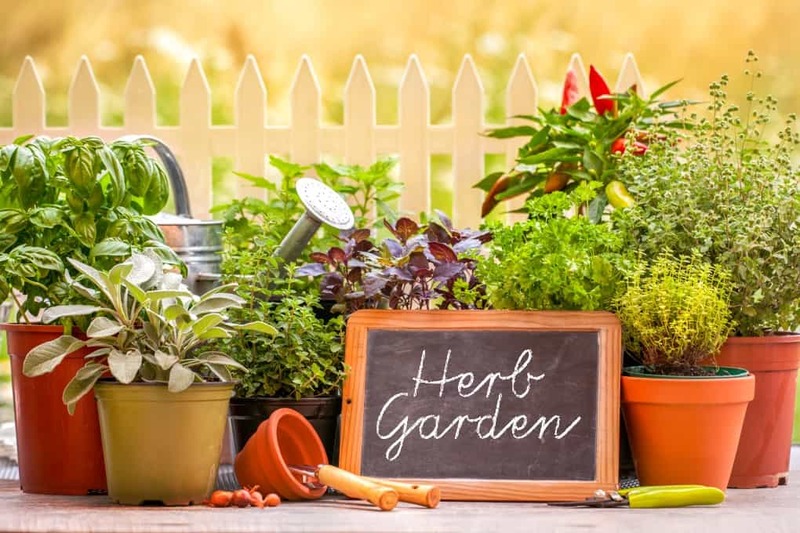 The first thing to consider when starting your own herb garden is to know what kind of herbs you will use the most of. What style of food you normally cook will determine the best herbs for you. If you will be starting from scratch with your herb garden, you will need to plant seeds. While planting seeds is a cheaper avenue than purchasing an already established plant, it takes a lot of effort and knowledge. It may be easier to start with a plant that is already blossoming, especially if you are a beginner. How long you want to have access to the plants is also something that you will need to think about. Some herbs like Basil, Cilantro and Dill will only bloom for one season, causing you to have to purchase another plant the following summer. Chives, Mint, Fennel and Tarragon are the most cost-effective herbs to grow because they are perennials and can bloom seasonally. Some herbs even repel bugs such as basil, lemongrass, lemon thyme, lavendar, mint and rosemary. Put these pretty herbs to work for you and you will see many benefits! Most gardening experts will be able to give you some insight as to which plants will survive best in the environment you are planning to plant them in. Some herbs succeed well outdoors with lots of light, where as some prefer to remain indoors in the shade. The next step to getting your fresh herb garden to thrive is to procure the proper equipment. Decide if you will be keeping your herbs in a pot or the garden. If you are planning on using a pot you will want to ensure that you have clay containers that allow 8 inches per plant, avoiding overcrowding. Soil and fertilizer is also a must if you are choosing to pot your herbs. A saucer for the bottom of the pot is a good idea if you will be keeping your herbs on a surface that requires protecting. The majority of plants require at least four hours of direct sunlight daily, make sure that you have determined the sunlight needs for each individual plant you purchase, also considering the temperature. Move your plants to the shade on those exceptionally hot days and make sure to check the dryness of the soil frequently. Water your plants whenever the soil seems dry to the touch. 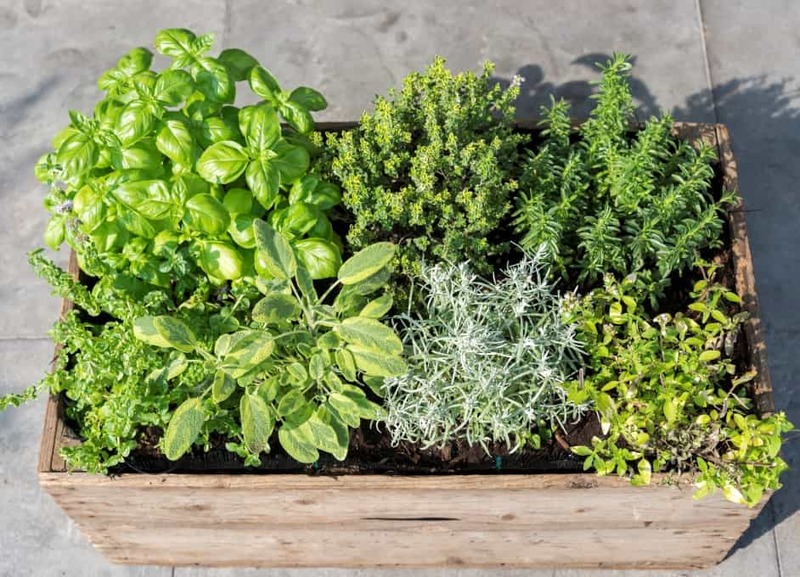 Growing your own fresh herbs can be a great way to amp up any meal you create. Get started today with your herb growing adventures, just in time for Spring. Fresh herbs or vegetables are really the best and the freshest. I would love to grow some fresh basil or parsley in this season coming up, will follow your lead. This is AWESOME! This weekend, I’m setting up a brand new garden, so this post came at the perfect time! THANK YOU! I find that gardening can be very relaxing. I’ve thought about growing our own herbs. This might be just what I need to get the ball rolling! We grow fresh herbs every year! Some of them have been getting some spots, every year the same spots, even though I bought new plants. I’m thinking maybe the soil. I would ask at a garden center, they will have an answer for you! I love growing my own herbs. I love the taste of fresh herbs and not to mention they are so expensive at the grocery store. I have always wanted to grow herbs! Why don’t I just do it? I can make that happen with your tips. We just started to sprout our herbs and we cannot wait to get a full harvest going! There is nothing better than fresh herbs on recipes! This is such a wonderful post. There is nothing better than having fresh herbs on hand. I love the instructions given here, because they are so informative and helpful to making a herb garden work. I am book marking and will be using this to plant one asap! I can’t wait to get my gardening started. We are still under 6 feet of snow!! I am so happy you liked the post!